Summary: Anyone can be their own landscape designer, no matter how small a plot, from small backyard to a country estate. Anyone willing to familiarize themselves some knowledge and general design principles can act as their own landscaping designer. 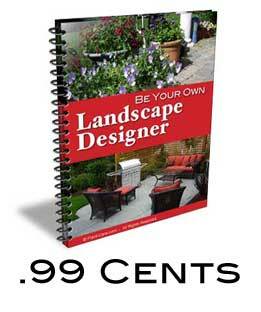 Answer: Donna, sure you can be your own landscape designer, anyone can do it. Plus, we all have to start somewhere. Every homeowner turns sooner or later to making the outside of their home more beautiful. The “fixing up” of the yard and home grounds we call landscaping. This term applies no matter how small the plot may be, a city back yard may be “landscaped” in just as true a sense as a Hampton country estate. When we speak of the landscape designer or landscape architect our reference is made to the one who plans the planting – just as the home architect is the one who plans the details of the construction of a house. When we say that any homeowner of average intelligence and taste can be their own landscape designer it is not an exaggeration. This does not mean, however, that they can jump in and do a satisfactory job without becoming familiar with certain basic principles that experience have proven to be good practice. If you are willing to take the time and trouble to familiarize and gain some knowledge with these general principles, you or any homeowner can act as their landscaping designer. In addition to the great pleasure a family will gain from living in a home with attractive surroundings, there is a very practical business side to the subject. Once a well planned planting is completed, it will steadily increase in value from year to year. In this respect it differs from the investment in a building; the building alone, once it is completed, immediately begins to decrease in value due to wear and tear and general obsolescence. (This does not take into account the real estate value) Learn more on the question of – Does landscaping improve home value? Not only does the planting itself increase in value but as it matures it adds materially to the market or resale value of the entire place. Thousands of instances are on record in real estate offices where attractively planted places have brought anywhere from 10 to 25% more than similar unplanted or poorly planted neighboring properties with just as good houses. In not a few cases the value increase due to attractive planting has been very much higher than these figures. To any homeowner with little experience with plants and planting, and less with even less designing, the idea of attempting the planning and planting of their own residence may at first seem rather hopeless. But those who happen to find them self in this position should by no means feel discouraged. IF you have any doubt, look around, you will find in your own neighborhood and community dozens of attractive landscapes that have been developed by their owners with no assistance of a professional landscape architect or designer. In fact, it is not unlikely that if some of these homes were in competitions for attractive yards and gardens, they would have won prizes. A landscape DIY homeowner has two very distinct advantages over any professionals who might be called in to do the job. The first of these is TIME. 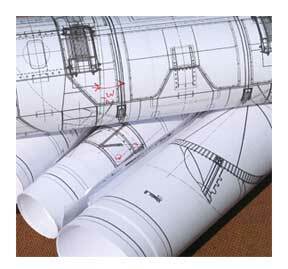 All the work on the landscape plan does not need to be completed all at once. Details can be added, changed and fitted in as the budget or homeowner goes along. The second advantage is that CHANGES can be made. In designing a house this could not be done, but the amateur landscape architect building their own garden has the very great advantage of being able to make use, to a considerable extent, of the “trial and error” method of procedure. Usually these changes prove to be desirable as time goes on as it usually does not involve any great waste of material. A shrub, bush or small tree not placed in just the right position on the first attempt, can be moved during the next season or two. As for hardy perennial plants, the same holds true to an even greater extent. In fact most of these benefit greatly by being replanted at the end of every two or three years. The more the homeowner landscape architect is willing to learn about the subject before undertaking the planting of his own place, the fewer mistakes will be made and the better the overall progress in the landscape will be. The very first step is to realize the importance of making a definite, carefully thought out plan before beginning any actual planting operations. Such a plan need not, at the start, be laid out in every detail. It may start as a sort of “skeleton” that can be filled out later on, but the skeleton must be there first if the details which are later worked in are to have the proper proportions and be correctly related to each other. What then, are the things which should show on the skeleton landscaping plan? If we could go out together and tour some attractively landscaped home grounds, and make notes as we went along, we would discover they all possess certain things in common. I do not mean we would find in every instance the same plan — far from it — but certain parts of the landscape, we would see had been handled in much the same way in each case.